As the American essayist Ralph Waldo Emerson once wrote, “The first wealth is health.” It forms the base that shapes the enjoyment of our lives; yet as we age, challenges to our health and wellness arise. There are many ways for seniors to live a balanced life, and now more than ever, many older adults are turning to the convenience and comfort of independent living communities. Today, it’s easy to maintain a healthy lifestyle at a retirement community. Living at a retirement community can help older adults stay active and healthy, not only physically but also mentally. Communities offer the opportunity for socialization, whereas older adults still living in their family homes can be susceptible to feelings of isolation and depression. Depression can reduce the desire to prepare and eat nutritious meals, pursue adequate amounts of exercise, or participate in social activities with family or other seniors with similar interests. Because most residents in at a retirement community are in the same stage of life, their experiences can equate to increased health benefits. Healthy living is easier and more fun if it is shared with someone else, whether it be a group who walks together, shares nutritious recipes or just encourages each other to maintain a healthy lifestyle. In addition, the transportation to medical appointments provided in independent living communities makes it easier, and therefore more likely, for residents to pursue regular medical care and checkups. Seniors have to make some physical adjustments as they age. The things they could once do at age 25, or even at age 50, may no longer be feasible at age 75. In an independent living community, services like home maintenance and housekeeping are taken care of, giving residents more time and energy to participate in a variety of fitness activities. 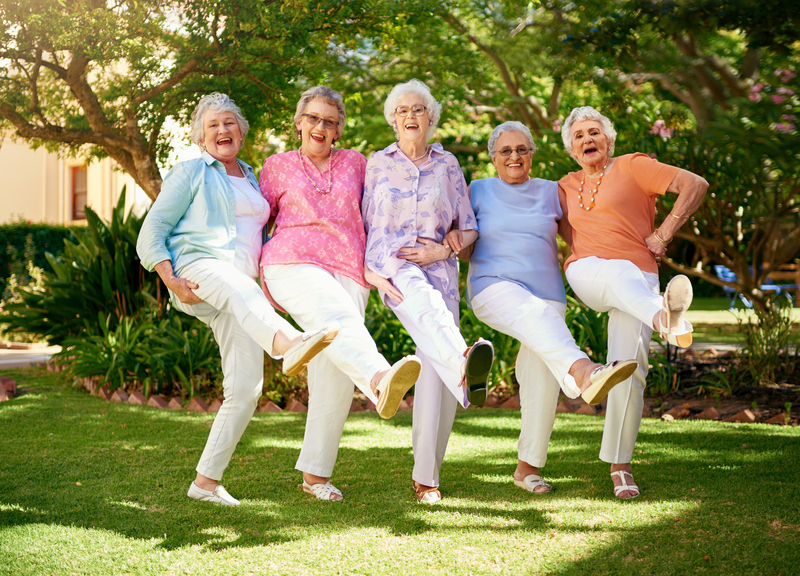 Many retirement communities, like the Bethesda communities in the St. Louis area, offer yoga classes, walking clubs, and offer ways for residents to maintain their strength, flexibility, endurance, and balance. Onsite therapy services may be available for recovery, as well as wellness programs designed to help residents pursue an active lifestyle. Many times the activity calendar is also filled with games, celebrations, and outings that not only help the body but the spirit as well. Eating well is important at any age. However, as a person ages, nutritional requirements change. Seniors may notice that their sense of smell and ability to taste diminish as they age. They may experience decreased energy, which decreases the body’s need for calories. Gastrointestinal issues may make it less likely for seniors to choose the healthy fruits and vegetables needed for good health. This, along with depression or the inability to make it to the grocery store, contributes to the statistic that an estimated 3.7 million seniors are malnourished. Independent living communities offer transportation services to stores, making it easy and safe for seniors to buy nutritious food. In addition, the community’s food services provide well-balanced meals prepared by professionals who understand the resident’s particular nutritional needs and are seasoned to appeal to the resident’s needs and desires, making it easier than ever to maintain a healthy lifestyle at a retirement community. The key to maintaining one’s ‘wealth of health’ is to find and participate in an environment that promotes physical and mental activity provides accurate health information and encourages consistency in good health habits. Bethesda’s independent living communities across the St. Louis area have a lot to offer seniors who want to maintain a healthy lifestyle. Schedule a tour at a community near you to learn more.